Toradex is pleased to announce significant price reductions on several of our core products including Oak USB Sensors and Interfaces. The Oak USB Sensors and Interfaces are easily integrated into a custom application with operating power, real time sensor data and uncritical sensor configuration data all transferred through a simple USB cable. Very low power consumption, including automatic sleep mode, allows for the use of this device in both fixed installations and mobile applications. As all major operating systems natively support the USB HID (Human Interface Devices) class they can be used without installing any drivers. You can process your Oak USB Sensor data in LabVIEW®, Microsoft Robotics Developer Studio, or in the freely available Oak Studio acquisition tool from Toradex. Alternatively, you can access Oak Sensor data from your own software application using the specific Application Programming Interface (API). 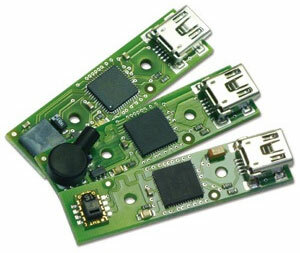 Oak USB Sensors start from €12 a unit. You can see full details for these products, as well as Colibri T20 Computer module, Iris, and Colibri Evaluation Board, in the Toradex Webshop.